In this blog post, You will learn about Complex Numbers types in Go language with examples. complex64 type- this type is used to represent float32 real and imaginary data. How do we create a Complex number in Golang? There are 2 ways to create a Complex number of ways in Golang. 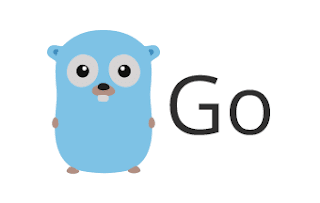 complex Golang Provides Inbuilt Complex function, provides to create real and imaginary data. In the below example, You will learn the following things. This is an example for Having arithmetic operations - add, subtract, divide, Multiplication on Complex Numbers When you are doing add operation with complex numbers, Real part adds separately, Imaginary part adds separately. The same it works for other operations Below is an example for add, subtract, multiply, divide operations on complex numbers. This program is to remove the all white or empty spaces from a given string, return the new string Standard inbuilt Strings package provides various utility string functions. Replace is one of the function replace empty spaces from a given string and returns a new string. return copy of the given string with replaces with an empty string. str := "  This is test example "
return a slice of a given string with all start and ending spaces remove. str := "  This is test example  "
This program removes duplicate spaces( more than one space) from a given string, return a string with single space. This checks spaces for Tab, newline characters. In the below program, Created a regular expression pattern using regex package with MustCompile function. str := "  This is test             example  "
In any programming language, Comments are useful statements describes code statements. Comments are part of the program contains statements used to place human-readable information. This will be helpful for developers to maintain the code, improves code quality and easier bug fixing. In Golang, The comments are used to describe information about variables, control structures, functions or any line of code. Comments are ignored by the compiler when the program is compiled. Single-line Comment always prefixed with two forward slashes, used to comment a single line of the statement. Single LIne comments are used to describe the line of code, can be placed before the line of code or end of the code. Golang Compiler ignores any text or statements between // and end of the line. // Print Text to console - These comments placed at end of the line of code. To write multi-line comments using single-line comments, It will be very complex to write as each line starts with // So multi-line comments are useful for clean code. Multi-line comments are used to place comments/statement in multiple lines. Comments are started /* and end with */. Golang compiler ignores statements or text in between /* and */. Documentation comments are used to create Documentation API for Golang code. These comments are used for packages or projects to generate documentation HTML pages, can be used by users for reference. The comments contain HTML markup and texts. you need to use Godoc tool to create a Go documentation API. and open localhost:8331 in a browser. In this blog post, You will learn two programs in Go language, The first program is to convert Hexadecimal to Decimal Integer. Second program to convert Decimal to Hexadecimal Number. The below programs takes input from a user keyboard console and stored in the corresponding variable. strconv package provides ParseInt function which does the conversion of different types. A parseInt function is used to convert given string in hexa format, convert to a Decimal number. Please note that base supplied to this function is 16. Given input string is stored variable hexaNumber. valid hexaNumber values accepts values - 23a,0x23a,0X23a. So we have to write a function to replace 0x or 0X with empty string. strconv package provides various functions for signed and unsigned numbers Like ParseInt function, ParseUint function is used to convert unsigned integer ParseInt function is used to convert given string in hexa format, convert to a Decimal number. Please note that base supplied to this function is 16. Below program takes decimal input number from keyboard console, stores it in variable decimal. strconv package FormatUint function which converts of Uint64 to hexadecimal number Here is an example program for Casting unsigned integer to Hexadecimal number. This post is an index page for Complete Haskell beginner Guide. Haskell is a Strong functional programming language with features like strong static typing and semantics. We are working hard to create the est content on Haskell tutorials and examples. Please subscribe now and you will get tutorials in your inbox. Second program to convert Decimal to Octal Number. An Octal number is a number based on the base 8 number system. It contains digits from 0 to 7. In Golang, Octal numbers are always prefixed with zero Example octal numbers is 0879. Decimal Number are numbers which contain numbers based on base 10. We have 2 ways to convert Octal to Decimal Number in Go language. Following are the ways. The below program takes Octal number (prefixed with zero or normal number for Declaring Octal numbers) and stored in variable octal. strconv package provides ParseInt function.To convert Octal number, ParseInt is provided with number and base=8. Created an user-defined function, inside a custom function, used for loop with Modulus, Division operator and Math pow function. We have 2 ways to convert Decimal to Octal number in Golang. Inbuilt Standard package strconv provides FormatInt function used to convert Decimal to Octal number. The following program uses Golang features For loop, Modulus and division operators. Here is an example program to do the conversion. Second program to convert Decimal Number to Binary Number. To understand this example, You should have following features in Go language. The below programs takes input binary number from a user console, store it in variable binary. Inbuilt Standard package strconv provides FormatInt function used to convert Decimal to Binary number. Power of m with exponent n is also called m n which is product of number n with m times. Power of a number always returns positive number. Finally Output is printed to console. The above program works only integer numbers of base. Recursive function is a function which call inside a recursive function. String is sequence of characters which contains one or more words. In Golang, String is read only of arbitary bytes.String length is number of characters in a string, For example, Given input string is "Cloudhadoop", The length of the string is 11. In this program, Inbuilt len() function is used to calculate length of character of a string. str1 := "This is test program"
Sum of digits of a number is to retrieve each digit of a number and add these numbers to result. For example, if given number is 154, The sum of digits of a number is 1+5+4=10. In this below program,The intput number is read from the user keyboard console, store this in variable number. Iterate the each digit of a number using for loop until condition (number!=0) is false i.e number is zero. Declared Recursive function, Recursion is a function which called inside a function. Factorial of a number n is called n! which is equal to product of all integers less than or equal to number n. This will be always calculated for positive numbers and factorial of negative numbers not exists. Factorial of a number=0 is 1. For example Factorial of 5 is equal to 5!=5*4*3*2*1. This will be used to store the bigger numbers of a factorial calculation result. First, read the number from user console and stored in variable number using Scanln function. Declared Recurisive function RecursiveFactorial, Recusrive functions are functions which will be called inside a same function. Intially, RecursiveFactorial(5) is called from main function. In this Example, you will learn programs to check number is positive or negative, First is using if else statement. Second is using standard library Math Signbit function. To understanding the below programs, You have following features understanding in Go Language. The below program read number from an user console, store it in variable number. 4  is a positive integer. -9 is a negative integer. The below program uses Math Signbit function. Signbit function return true, if number is negative, return false for positive number. 25.000000 is a positive integer. -24.000000  is a negative integer. In the below program, Declared slice and array with initlized values using shorthand assignment operator. For loop with range form is used to iterate the elements of an array or slice. Creatingn Array or slice variable involves location or address in memory.